This is a very simple recipe. Very buttery too. 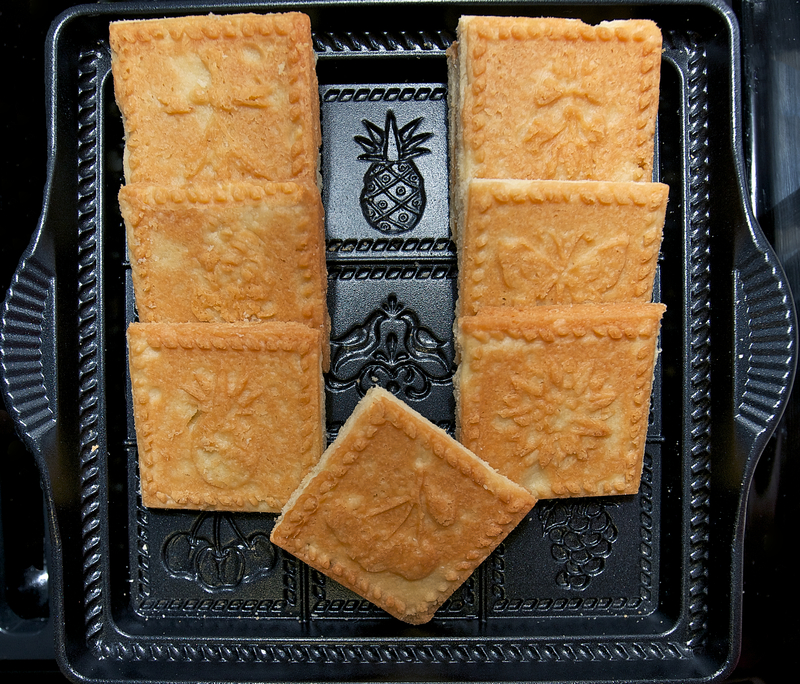 I bought a 9×9 shortbread pan but you can always make these in any shallow pan. Just keep an eye on them. They get brown very fast. This recipe makes one 9×9 pan. I suggest you double it because one 9×9 pan is not enough. They taste that good!! Cream softened butter first. Then add powdered sugar and cream again. Mix in vanilla and slowly add the flour until all ingredients are mixed. It will be a very crumbly mixture. Dump the crumbles into a greased pan and with floured fingers flatten out evenly. Bake at 325 for 20 minutes. Cool 10 minutes and then with a knife cut out the squares. Cool completely and enjoy. This entry was posted in Uncategorized and tagged baking, cookies, recipes, shortbread. Bookmark the permalink. Aw- I am so glad you have this outlet to display your beautiful photography and delicious food. I am in the mood for some good hot MateVana and shortbread cookies now. Gosh now I have to make some cookies!